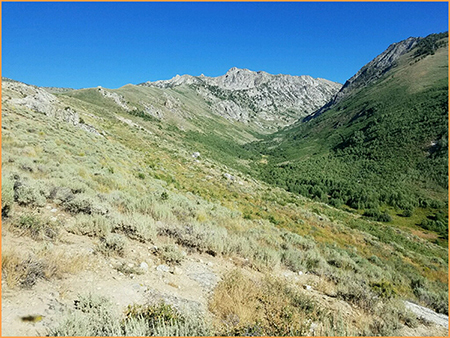 Over the course of 2 deployments, four search team members plus three K9s (Anton, Rekker, and Gunny) from Great Basin K9 Search and Rescue deployed to a mountain range inside the Humboldt National Forest. We were three of several K9 teams deployed on the search for a hiker who had been missing for two weeks. These mountains are so rugged they are referred to as "Nevada's Swiss Alps". 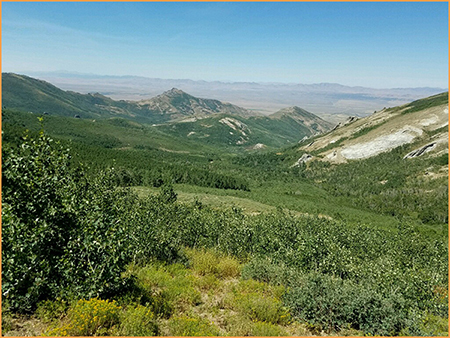 We were not expected to search the entire mountain range; however, there was very little information regarding where the hiker could be. His car was found in an area not in agreement with what his "plan" had been, and sightings were in two completely different areas. "Area" meaning hundreds and hundreds of acres apart.